Tiger Woods let out a celebratory yell after winning the Masters. AUGUSTA, Ga. — Tiger Woods blazing to victory in his Sunday red at the Masters, a scene once so familiar, was never more stunning. It was only two years ago at Augusta National that Woods needed a nerve block just to hobble upstairs to the Champions’ Dinner, unsure he would ever play another round of golf. He had a fourth back surgery with hopes of simply playing with his two children, not chasing Jack Nicklaus in history. And now it’s all pieced back together — his life, his back, even golf. 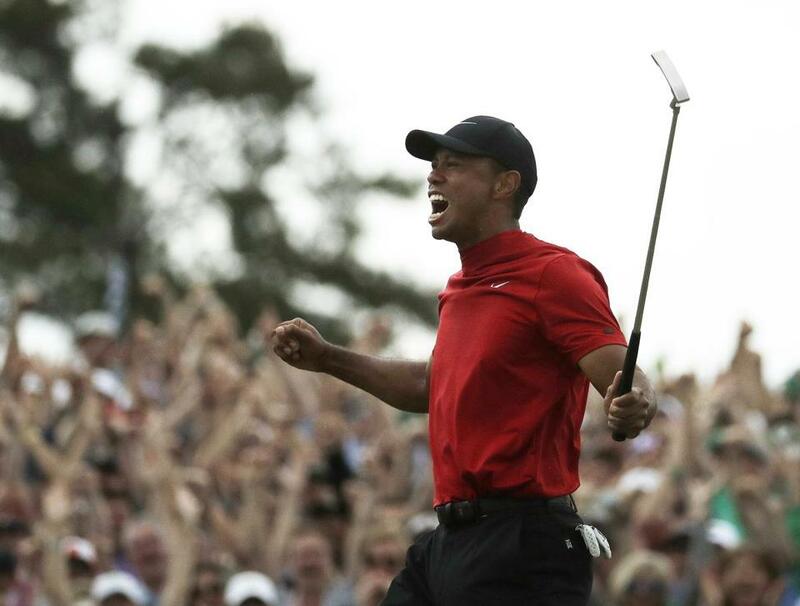 He won his fifth green jacket, his 15th major, but never with this much raw emotion. The most ferocious fist pump was when he walked off the 18th green, scooped up 10-year-old son Charlie, embraced his mother and 11-year-old daughter Sam. 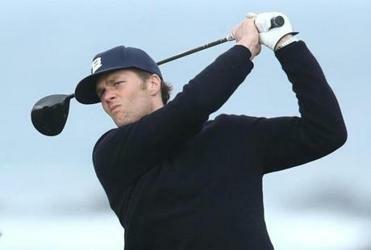 How Tom Brady reacted to Tiger Woods’s victory on his ‘only couch day of the year’. Tom Brady was watching on television — and commenting on his new Twitter account — as Tiger Woods won a dramatic victory at the Masters. ‘‘For them to see what it’s like to have their dad win a major championship, I hope that’s something they will never forget,’’ Woods said. It had been 14 years since he last won the Masters — no one had ever gone that long between green jackets. He had gone nearly 11 years since his last major, the 2008 US Open at Torrey Pines on a shattered left leg. 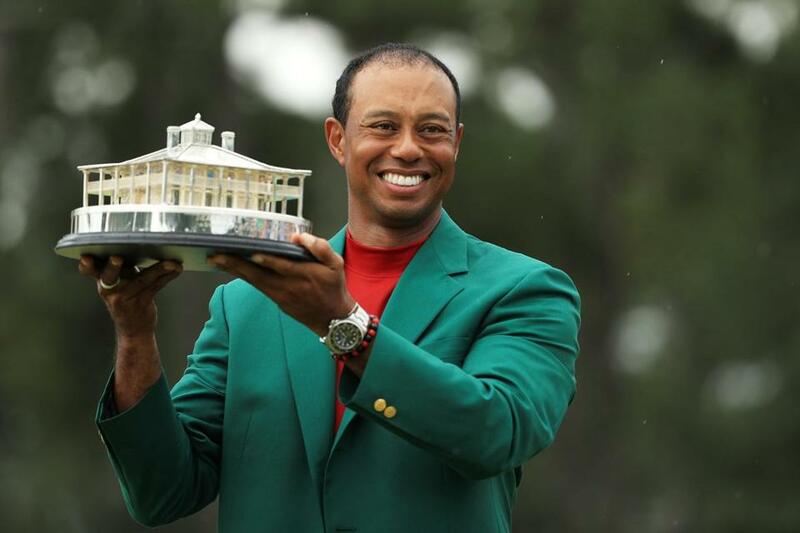 Tiger Woods displays the Masters Trophy following his victory Sunday. It didn’t use to look that way when he was younger, healthier and the most popular sporting figure in the world. ‘‘I think 18 is a whole lot closer than people think,’’ Brooks Koepka said. Joe LaCava, the caddie who stayed with Woods even when he didn’t play for the better part of two years, said they have talked about the record. And that’s when all hell broke loose. 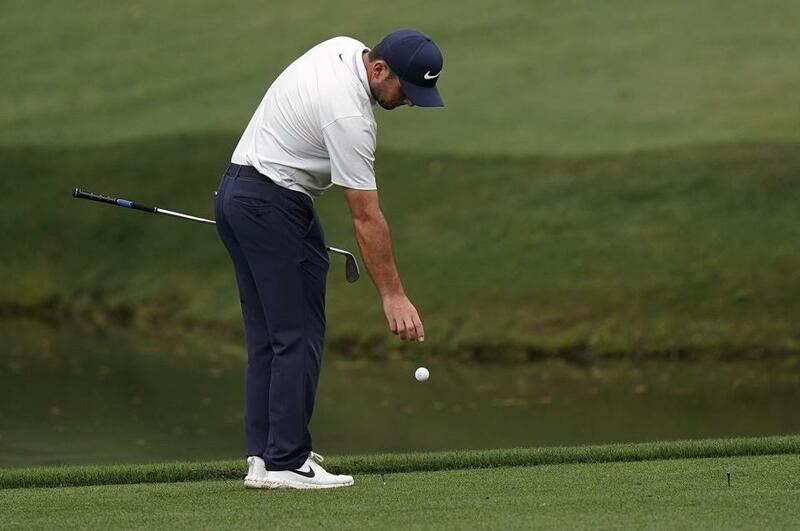 Francesco Molinari takes a drop on the fateful 12th hole, the first of his two double bogeys. Woods finished at 13-under 275 and became, at 43, the oldest Masters champion since Nicklaus won his sixth green jacket at 46 in 1986. That has stood as Augusta’s defining moment for years. ‘‘This is definitely, probably one of the greatest comebacks I think anybody’s ever seen,’’ Koepka said. ‘‘I think I made a few new fans today with those double bogeys,’’ he said. ‘‘Now I'm able to play golf again, and do it at an elite level again, which is something I'm just very blessed to be able to have that opportunity again,’’ Woods said.